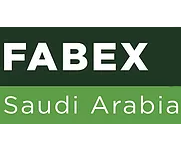 FABEX Saudi Arabia 2018 is the Arab's leading international Metal Forming, Fabricating, Welding and Finishing Exhibition dedicated to the GCC and Saudi Arabia in particular, featuring products, machine tools, plant and equipment for sheet metal, tubes and pipes, wire and steel structures, dies and moulds, welding, heat treatment, surface treatments and finishing. Held concurrently with Metal & Steel Saudi Arabia 2018, the 5th International Exhibition for steel and metallurgy industries. The both co-located shows have become extremely well known in this sector and are highly esteemed by the experts in this field.